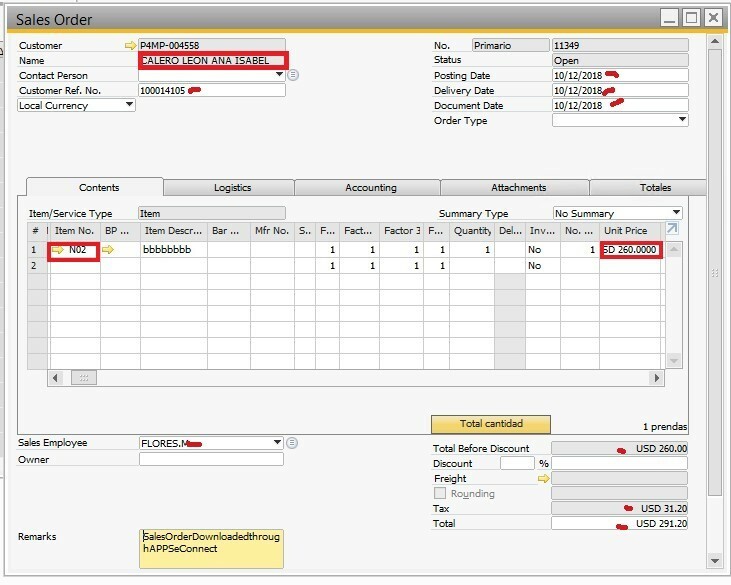 In SAP, suppose the price of an item X is 10,000 USD – this price is called the base price of the item, which is considered 1 in ratio terms. Now, the price list allows the user to choose for which sector or which group of customers (business partner) does it want to create a sales order for – let’s say a user sells its product X to retailers, distributors, and end-users. 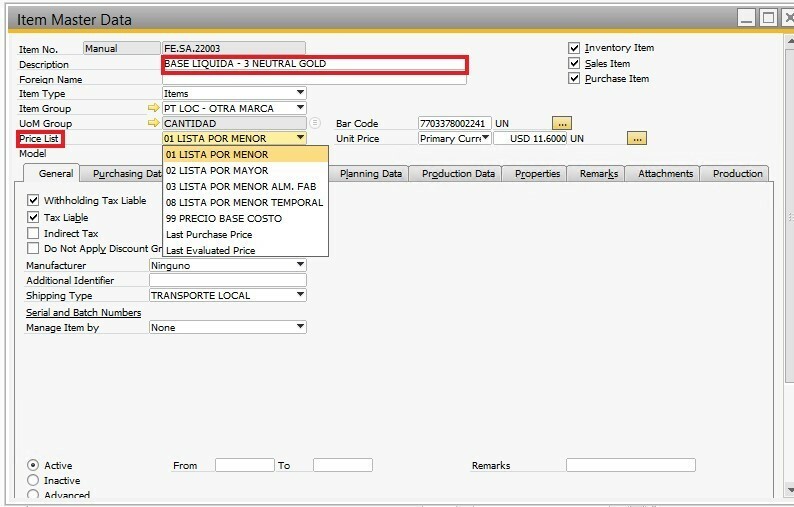 Now, the user will create separate price lists for all the three kinds of customers and will assign specific ‘factor’ into it. A factor is generally a kind of percentage applied to the price of the product, depending on which price list it falls under. Suppose, the price list of retailers has its factor as 1.75, distributors have the factor as 1.60 and the end users have the factor as 1.90, then on selling the product X and choosing the price list as retailer, the price of the product shall be auto-calculated on the base price (1.75 on 1) and the final price of the product to the retailers shall be 17,500 USD. Similarly, if the user chooses the distributor price list or the end-user price list, then the price shall be auto-calculated as 16,000 USD and 19,000 USD respectively. Also, a user can assign as many products to as many price list they want – the price list shall be able to automatically populate the final price after all the calculations based on the designated factor ratios on the base price (considered 1). Another side of this price list is when users are themselves buying products from the Vendors (manufacturers and wholesalers). Taking the example of product X, whose base price is 10,000 USD (considered 1), the user now creates price list for its wholesalers and manufacturers with factors as 0.80 and 0.70 respectively. 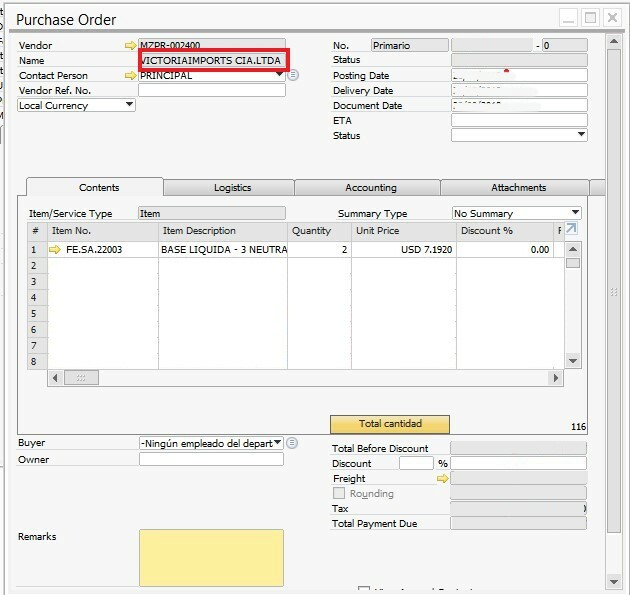 Now, when the user creates a purchase order and selects wholesalers in the price list, the final price of the product for wholesalers shall be auto-calculated and be displayed as 8,000 USD. Similarly, if the user chooses manufacturers, the final price shall be displayed as 7,000 USD (calculated on base price as 1). 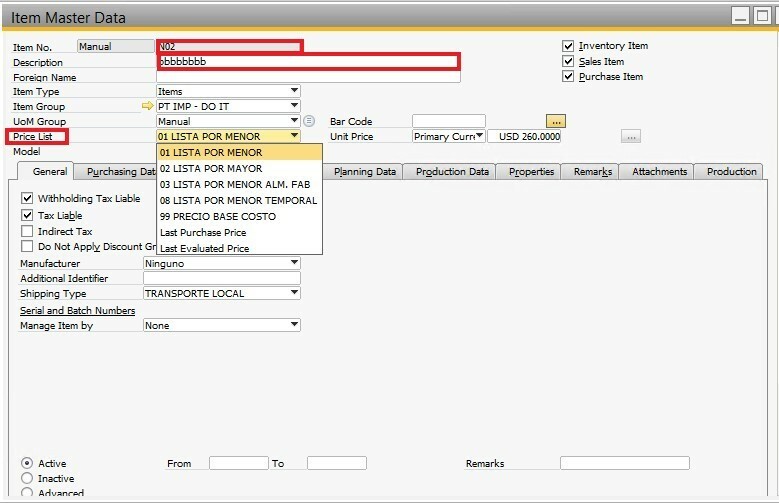 In this way, price lists auto-calculate the price of the product that is going to be purchased or sold. 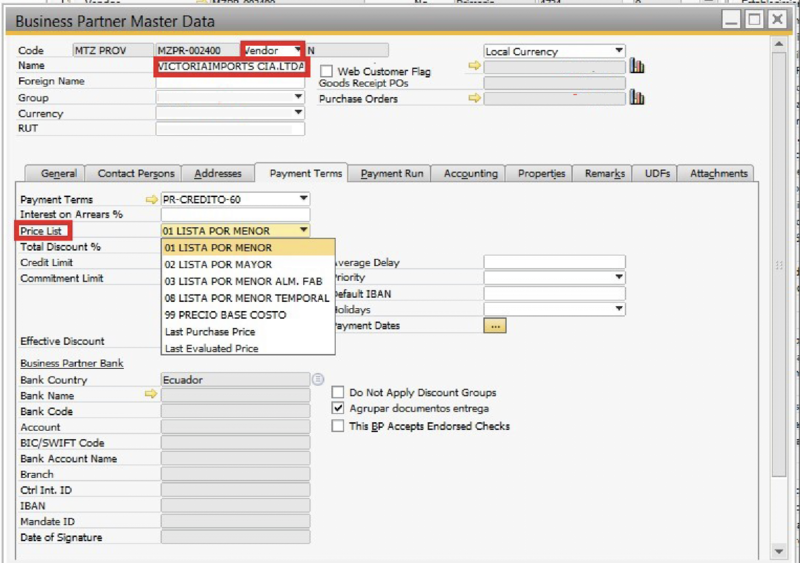 This feature reduces the manual time for calculating the price of the desired product and the user only needs to select the particular business partner or vendor in SAP to obtain the price. 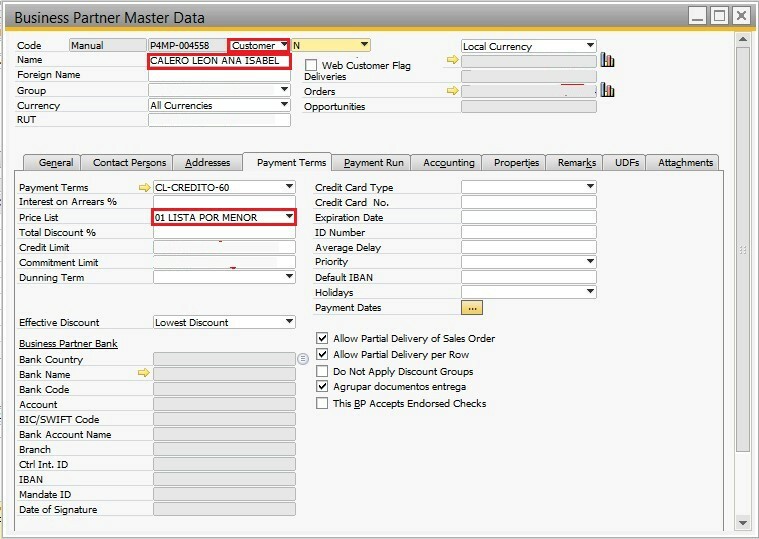 This provides clarity to the user regarding their sales and purchase cycles and lesser errors are observed. APPSeCONNECT is an Integration Platform as a Service which helps you Connect SAP Business One with other Business Applications.